i love easy peasy food that is rich and delicious, that looks impressive, but really anyone could make blind folded, and most of all, that is self-contained. 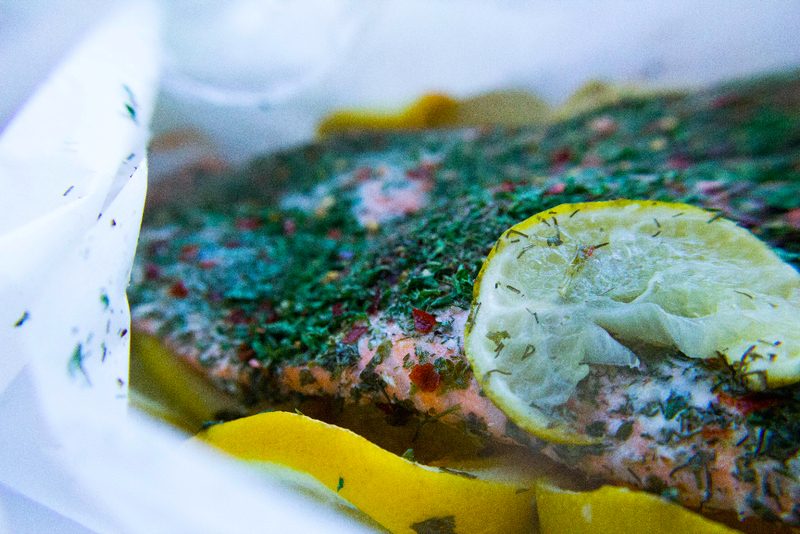 salmon en papillote, a fancy french way of saying salmon wrapped in paper, is a staple in our house. it’s delicious, can be prepared in a myriad of flavor profiles and is super easy to put together. if you buy a whole side of salmon (like we did from costco) and do this for a dinner party, transfer the whole package to a decorative platter before slicing it open. you’ll want to surprise your guests with the plumes of steam that rise as the package is opened. it’s very dramatic to say the least. also, if you’re just one or two, get one or two lovely filets and do the same technique, just with less fish. 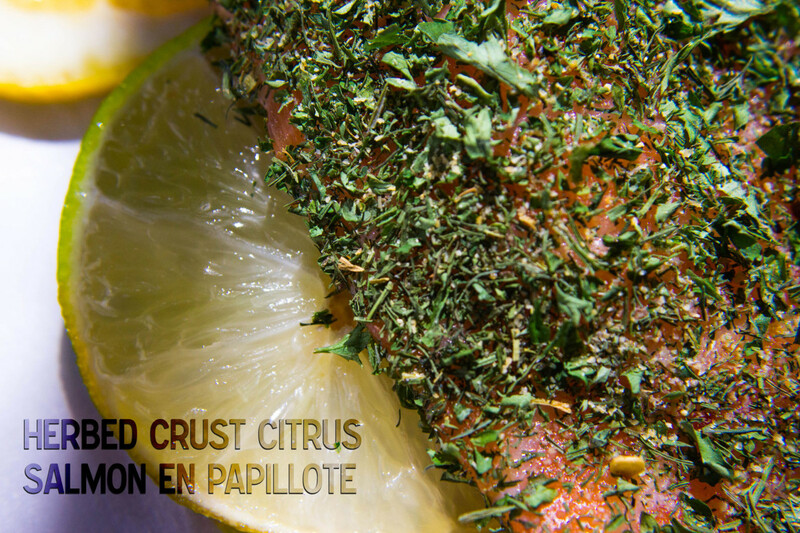 salmon en papillote will become a staple in your house once you realize the multitude of applications for this very simple, totally delicious and outrageously easy technique. 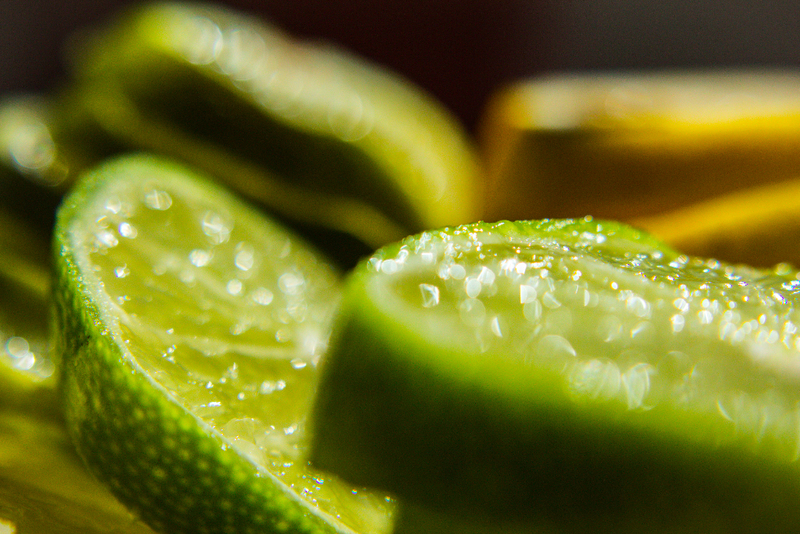 3-4 lemons & limes – depending on portion size. line a cookie sheet with tin foil and then line the tin foil with parchment paper. slice your citrus into thin rounds and decorate your parchment with them attractively. 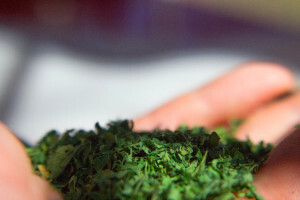 cover the top of your fish with salt, pepper, granulated garlic, dried parsley, dried dill, and crushed red pepper flakes until evenly coated. then seal up the package, with only the parchment touching the fish. then seal that with tin foil. 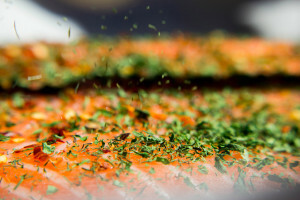 bake whole side of salmon for 45 minutes at 350, or 20 minutes at 350 for individually wrapped filets. 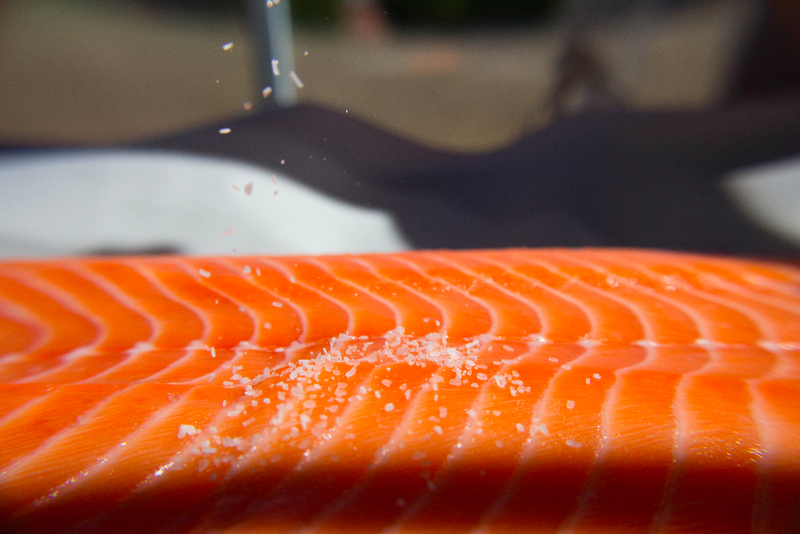 when ready to serve, slice open and let your guests marvel at the beautiful whole salmon side inside. they will be so impressed and think you slaved away all day. 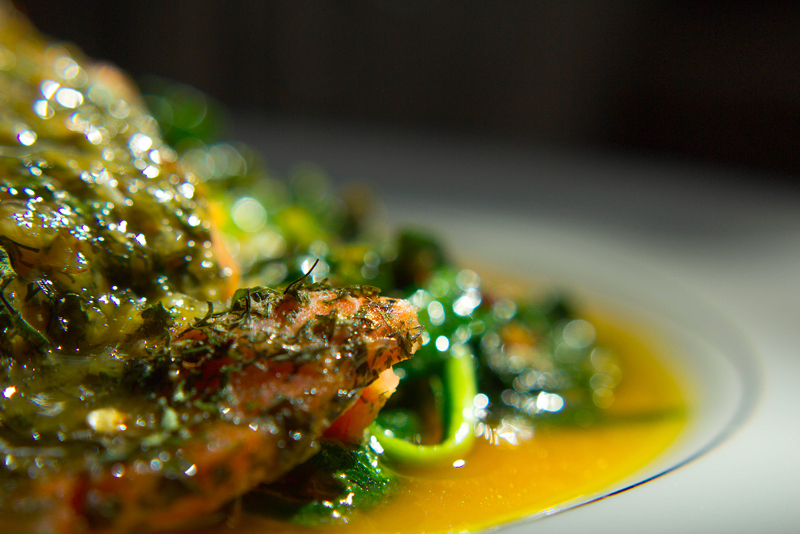 place a bed of spinach on your plate. more spinach liquor will pool out, it’ll look beautiful i promise and taste amazing! let it pool attractively. 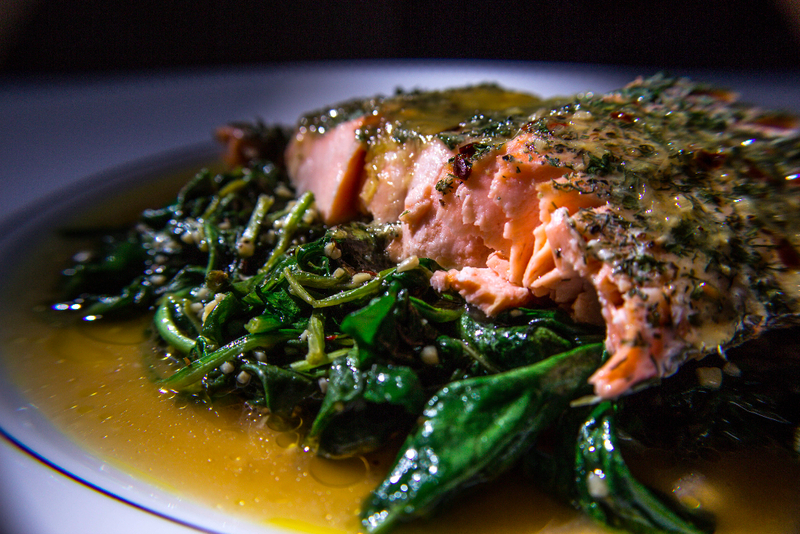 add a portion of salmon on top of the spinach and drizzle your pan sauce over. enjoy this easy and delicious meal that will leave you feeling like a gourmet chef at a five star restaurant with a belly full of the best, easiest most delicious salmon ever! if it’s just you, instagram that beautiful filet and let everyone marvel at what a culinary genius you are! i served mine with a citrus pan reduction and italian spinach.